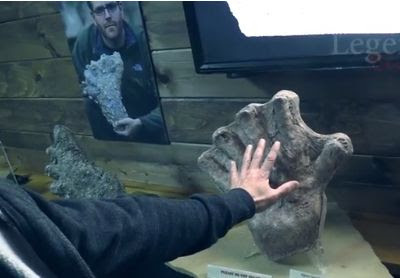 We recently reported on the "Legends Beware" crew going to the newly opened Sasquatch Museum in Cherry Log, Georgia. This museum is supposed to house more Bigfoot artifacts than any other Bigfoot-related museum! Now, news team Fox 5 out of Atlanta takes a visit to the museum. As usual the newscast gets a chuckle out of the topic, but they do a good job of showcasing a very cool museum. So if you're anywhere near north Georgia you should definitely check this place out.